Not only is this a key rule in SFI, but I consider this to be amongst THE most important lessons in life. NO ONE ELSE can make you successful. It's all up to you. YOU are the "master of your destiny" and responsible for your own success. Period. Conversely, there's not anyone or anything that will make you a failure. It does no good to blame the economy, your education, or whatever bad breaks you've had in your life. Doing so means taking on a victim's mentality. DON'T EVER DO THIS. I can guarantee you that many thousands of people have succeeded despite having it much worse, so don't make excuses and don't convince yourself that you're somehow a victim. And the grass isn't any greener on the other side either. You have now (or can acquire) everything you need to be successful. Just remember that it's up to you and nobody else. Then go out and do it. Now, for those who might be thinking, "well, that's easy for you to say, Gery! "…the fact is, I've achieved what most people would say is extraordinary success, but it was not handed to me, not by any stretch. I come from a very small Nebraska town and very humble beginnings. When I started in business I had no business education, no experience, and no money to invest. And it took four long years (the first two moonlighting into the wee hours of the night while holding down a full-time job), before I ever saw a profit. I had no mentors, no great upline leaders or sponsors to guide me, nor any wealthy relatives to come to my aid. But I decided I was going to become successful and I did. And I've put in the work every day for nearly 25 years now to stay successful. So...it's not your sponsor. It's not your upline. It's not the economy. It's not the government. It's not the compensation plan. It's not any of these things or any other obstacles perceived to be in your way. If you want to become successful, you can go around the obstacles, go over, go under, or go right through them. Success is yours if you want it, but ONLY YOU control this. Always remember: "If it's to be, it's up to me." "I don't know what my future holds, but I do know who holds my future." "I found it easier to get rich than I did to make excuses." "He that is good at making excuses is seldom good for anything else." "I used to say, 'things cost too much.' Then my teacher straightened me out on that by saying, 'The problem isn't that things cost too much. The problems is that you can't afford it.' That's when I finally understood that the problem wasn't it-–the problem was me!" "Don't wait for someone else to make your life terrific. That's your job." Treat TripleClicks as YOUR store! Way too many people focus on QUANTITY. They sponsor dozens, even hundreds of affiliates–which is great–but it is ultimately QUALITY that is the real key. Once you've found or developed 3-5 topnotch affiliates, you're going to see a lot of great things happen with your commission check. How do you develop quality affiliates? It's real simple: WORK WITH THE WORKERS! When you see people who are working SFI in your group, work with them! Tip: You can easily locate these people by checking your "My Movers" list on your SFI homepage daily. Support them closely, and train them to do the things you do so that you are creating duplication and maximum leverage. It's of course more natural for us to let the workers in our group just do their own thing. After all, they got active without you even telling them to, they're already sponsoring new affiliates, referring TC members, etc. They don't need your help or support–or so you think. Meanwhile, you're spending all your time trying to get the people who obviously don't "get it" to do something. As the old saying goes, you can lead a horse to water but you can't make it drink—yet you continue to try. You need to know that this is exactly the opposite of what you should be doing to build a successful business. I'm not saying you shouldn't follow up with those who don't immediately get active with SFI. You should. But don't spend ALL or even the majority of your time with this. And DEFINITELY DO NOT IGNORE your workers! Indeed, the way you create those 3-5 "top-gun" affiliates that you need is by treating them LIKE YOUR FUTURE DEPENDS ON THEM! If you're not in touch with your best, hardest-working affiliates at least every week (email, phone calls, chatroom, or whatever), I'm sorry, but you're trying to win a race with a car that only has one wheel! How many affiliates will you have to go through to find your top guns? That's of course difficult to say. What I can tell you though is that they're out there (or are ALREADY in your group), and you'll develop them so long as you deny your natural instincts and apply the proper focus (work with the workers!). Just like in a deck of playing cards, you KNOW there are four aces. If you start working your way through the deck, the first ace may not come up for a while, but eventually it will so long as you keep going through the deck. And if you don't quit, you'll eventually locate FOUR aces. It's the very same principle with SFI; the aces are there. Tip: Don't waste time on skeptics or pessimists. They will NOT succeed in SFI or any other similar endeavor. They do not possess the qualities of a winner (this includes "rocking-chair advisors" who talk and talk, seem to know all the answers, but never act). Leading by example works in the negative, too, of course. Want a downline of affiliates who do nothing? Then do nothing and that's what you'll likely get! So...the rule is real simple: Whatever you want THEM to do, YOU do, because they are following your lead! Tip: Having a Standing Order (SO) at TripleClicks is a great way to lead by example. You'll see a small SO tag displayed beside your name at the SFI Affiliate Center (that all of your personally sponsored affiliates will see). This tag is also displayed beside your name on the "My Upline Support Team" page for all affliates for whom you're an upline Team Leader. Make sure you are sending everyone in your group the right message! You will not create a successful business by thinking about it. You will create a successful business ONLY by DOING...by TAKING ACTION every day. Every day, no matter what, make sure you're doing SOMETHING to further your business. If you're not, you're not even in the game, you're kidding yourself. No business becomes successful without daily focus and action. • Follow up with recent prospects. • Send out some E-Cards. • Place a classified or other type of ad. • Send out some postcards. • Review the LaunchPad Lessons. • Review the Internet Income course. • Send out a newsletter to your PSAs and your CSAs. 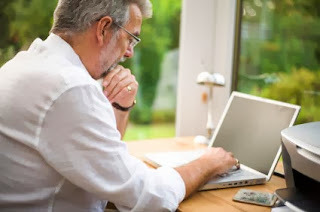 • Read an SFI training article you haven't read yet (or review one you have). • Contact your sponsor, let him or her know what you're doing. • Go to Google and search for articles on how to become a better marketer. • Browse TripleClicks for new products you can recommend to your customers. • Check the SFI News and SFI Power Tips blogs. • Review your Genealogy and TC Member List. • Review the Hit Tracker page to maximize your marketing efforts. • Start a co-op and invite your PSAs to join. • Add some prospects to your ECA database. • Review your "My Movers" report (on your SFI homepage). • Review "My Goals" (on your SFI homepage). • Review the latest posts on the SFI Forum. Tip: Don't forget to use the SFI Power Tools we've made available to you. Put the power of key codes, hit tracking, setting up your own co-op, the PSA Mailer, the CSA Mailer, reassignments, and more to work for your business. To not use these best-of-the-best tools is to operate your SFI business with two arms tied behind your back! "The only difference between success and failure is the ability to take action." "The future is purchased by what you do in the present." "Approach the start of each day with something in mind and end the day with one word...DONE." If you purchased a franchise, would you expect it to make money for you if you only worked it a few hours a week? Or if you didn't get trained? Or if you only tried for a few months? Or if you didn't follow the proven guidelines of the creators of the franchise? Of course not! That's ridiculous. SFI is no different. Success requires commitment. I am continually amazed at how many people think that money will somehow magically fall from the sky without work, without plans, or without an earnest commitment. All these elements (and others you'll read about in the following rules) MUST be present. 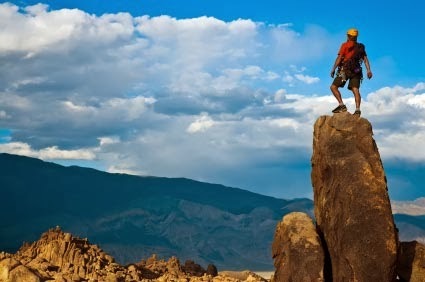 The fact is, anything worthwhile in life requires effort and commitment. If that were not true, we'd all be the perfect weight, we'd all have perfect relationships, and we'd all be highly educated. It's the same thing with having your own business. 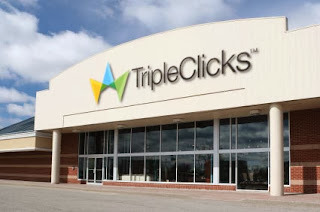 TripleClicks.com, launched in January 2009, is an exciting new destination on the Web. TripleClicks currently features 110863 products and services, with hundreds more new products added weekly, including collectibles and items available nowhere else on the Internet. TripleClicks also allows its members to simply and easily sell their own unwanted items for cash or trade. 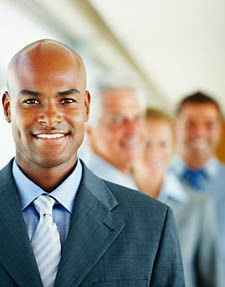 SFI affiliates can earn handsome commissions promoting products and services available at TripleClicks.